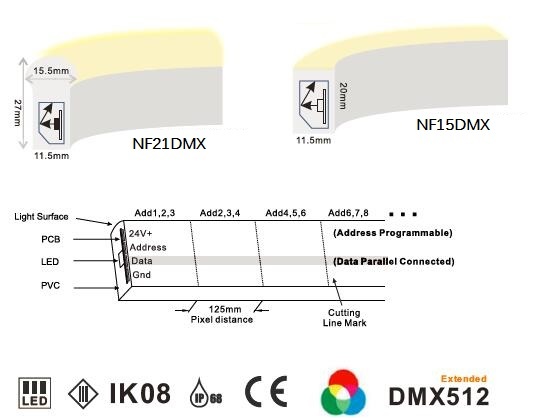 F21DMX 24VDC 12W Per Meter and 60pcs 5050 RGB 3 - in - 1 LED per meter Dynamic Dome DMX Digital Pixel LED Neon Flex Tape IK08 and IP68 Outdoor Strip Lights with WS2812 IC, 8pixels per Meter, programmable and Writable. Neon-DMX is a programmable Pixel DMX RGB neon led strip with 8pixel per meter consists of 56pcs tri-chip 5050 RGB color LED per meter, With WS2821 IC in the circuit of the strip enables it compatible with direct DMX signal and don't required any DMX converter/decoder device. 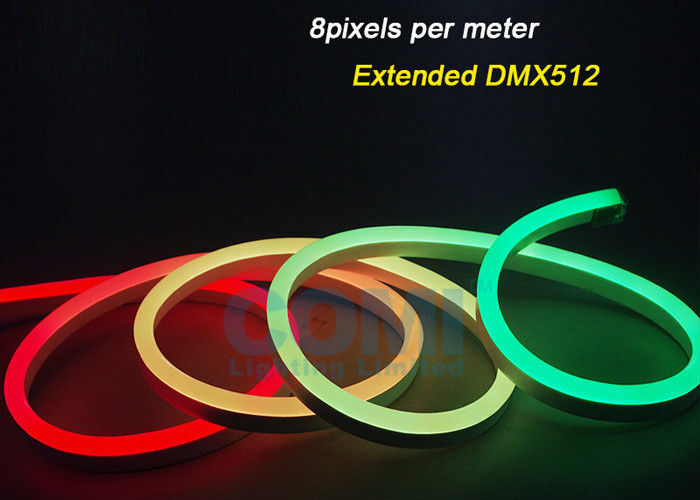 It offers Colorful lighting changing effect Over 16 million possible colors .With smart accessories kits, controllers and IP68 Designed, Neon-DMX can accommodate both interior and exterior environments and meet various color changing effects for different applications. 1. LED Chips: SMD5050 Tri-chip LED as its light source. 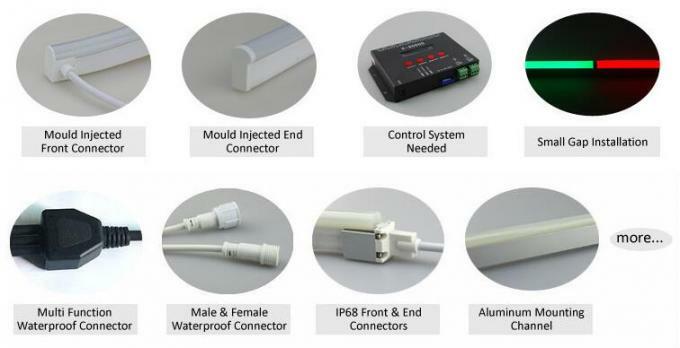 (2) Can be re-connected by smart connectors or glue. 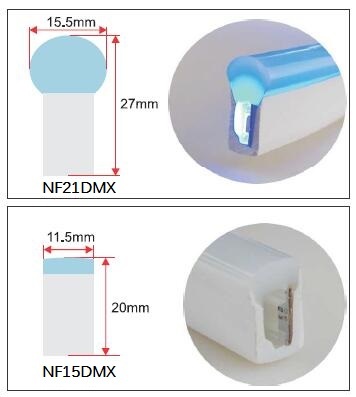 Important Note: NF15 and NF21 series Neon LED strip is Horizontal bendable only,CAN NOT bend in vertical direction. 2. Customize packing is available.